Russian veteran Vladimir Vasilyev finishes third overall at the Baja Poland, keeping the second position in the general standings. 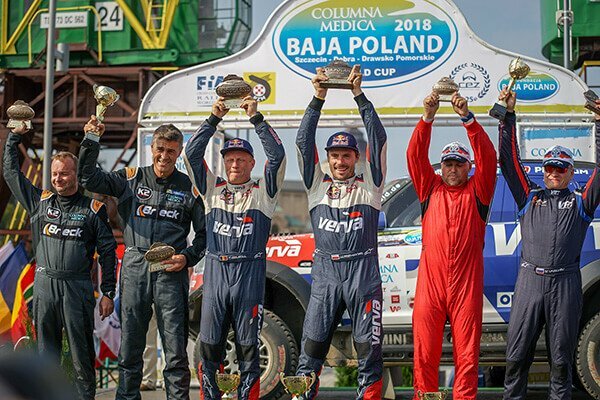 Russian driver Vladimir Vasilyev and navigator Konstantin Zhiltsov of Overdrive Racing earned a podium finish in Columna Medica Baja Poland, round nine of the 2018 FIA World Cup for Cross-Country Rallies, and managed to keep their title hopes alive on Sunday. 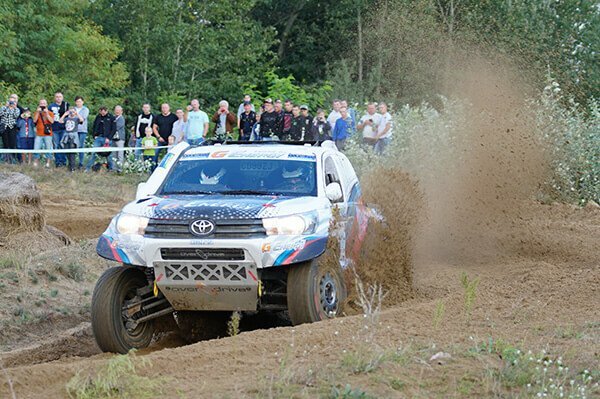 Vasilyev began the three-day Szczecin-based event trailing Poland’s Jakub Przygonski by 57 points in his G-Energy Toyota Hilux with DakarCorse rims. The Russian now finds himself 71 points behind the former enduro rider with a maximum 90 available to the winner of the last two rounds of the series in Morocco and Portugal. Action in the FIA World Cup for Cross-Country Rallies resumes from 3 to 9 October with the Rally of Morocco, an event that will also be an important test for the Dakar 2019.